We’re heading into a busy travel time for my families. With costs of travel rising (and checking luggage is no cheap task), it’s important to have the right luggage and packing strategies before taking your next trip. 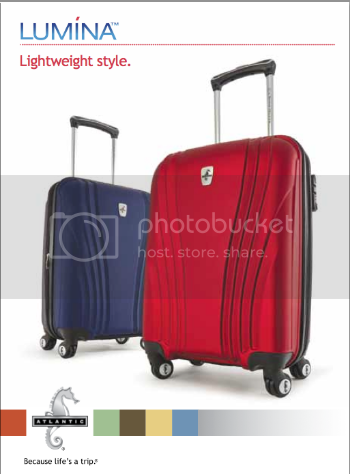 Atlantic Luggage has been creating great luggage since 1919. 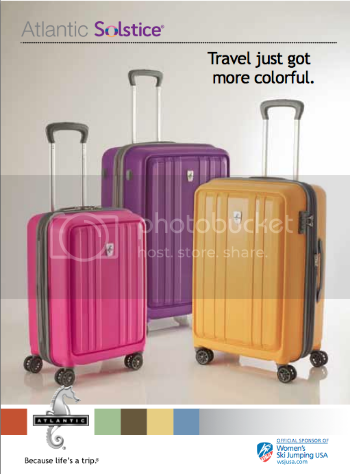 They offer a wide range of luggage varying in size, color and styles. They definitely make traveling easier. My son is small and while he requires a lot of stuff (just as all babies and small children require), I’ve always been able to pack his clothes in a small carry-on suitcase with my own clothing. The thing that helps me the most is rolling my clothes instead of folding them flat. I also like to bring items that I may be able to wear more than once. Let’s face it. If I’m on a work trip, I won’t be wearing jeans every single day (so if I wear them for a few hours one day, I can totally wear them a couple of hours another day.) I pack shoes that can go with multiple outfits. Right now, Atlantic Luggage is running a sweepstakes for a vacation! You could win a trip to New York or San Diego by entering before November 15. A winner will be notified by the end of November and the trip must be taken before October 31, 2015 (it must be booked by September 30, 2015).